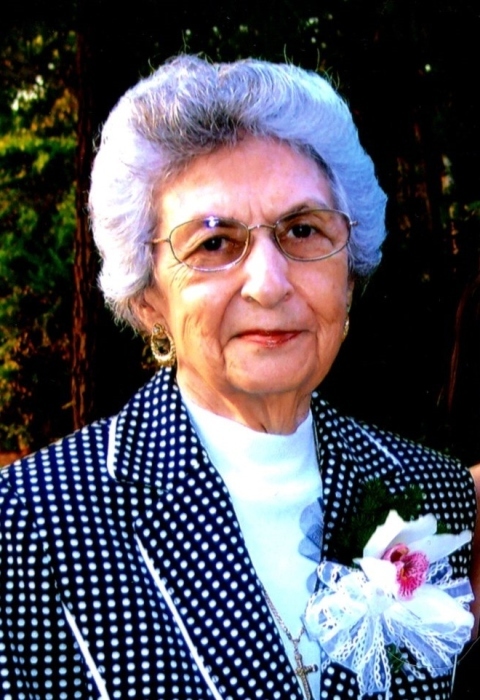 Maxine Aycock Beard, 86, of Shellman passed away on Sunday, December 2, 2018 at the residence of her daughter. Graveside funeral services will be conducted at 11:00 AM on Thursday, December 6, 2018 in the Bethlehem Freewill Baptist Church Cemetery with Rev. Olin Johnson officiating. Mrs. Beard was born on August 1, 1932 in Shellman the daughter of the late Hiram A. and Leila Barfield Aycock. She was a high school graduate, a Home Maker and a member of the Bethlehem Freewill Baptist Church. She was preceded in death by her parents and her husband Kenneth “Bo” Beard. Survivors include 2 daughters, Judy (Tommy) B. Rountree and Jan (Charles) B. O’Hearn both of Shellman, a son H. B. “Guy” (Vickie) Beard of Shellman, half-brother, Billy (Frankie) Sauls of Shellman, 8 grandchildren, Amanda (Kevin) Bass, Brian Beard, Ken (Letitia) Rice, Mickey (Molly) Rice, Ashley (Ben) Grimsley, Heidi (Matt) Breeden, Chase O’Hearn and Haley (Ben) Morris, 12 great grandchildren, Hayden Rice, Tyler Rice, Chandler Rice, Gabriel Rice, Gracen Rice, Garison Rice, Bo Grimsley, Sutton Grimsley, Levi Grimsley, Presley Breeden, Noah Breeden and Hadley Morris and several nieces and nephews. Donations may be made to the Albany Area Hospice at 320 Foundation Lane Albany, GA 31707. The family will receive friends of Wednesday from 5:00 until 7:00 at Lunsford Funeral Home.